We looked at the top 1 Kayaks and dug through the reviews from 6 of the most popular review sites including Hobby Help, Kayak Base, Globo Turf, Cast and Spear, Paddle Go and more. Through this analysis, we've determined the best Kayak you should buy. In our analysis of 67 expert reviews, the Lifetime Lifetime Tamarack Angler 100 Fishing Kayak placed 6th when we looked at the top 10 products in the category. For the full ranking, see below. 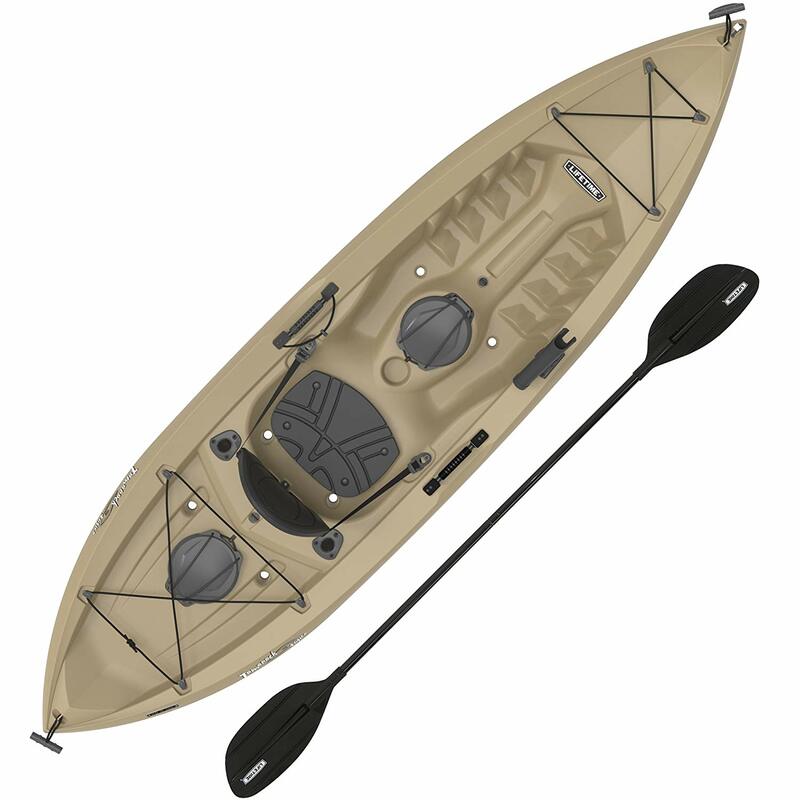 Checkout Lifetime Tamarack Angler 100 Fishing Kayak for a detailed review of all the top kayaks. The molded kayak has enough room for you to stretch your legs out, and the seat is fully adjustable, so you can find the seating opposition which will be comfortable for those long days out in the water. The Lifetime Angler has two paddle holders and they’re covered with shock cord to secure them. 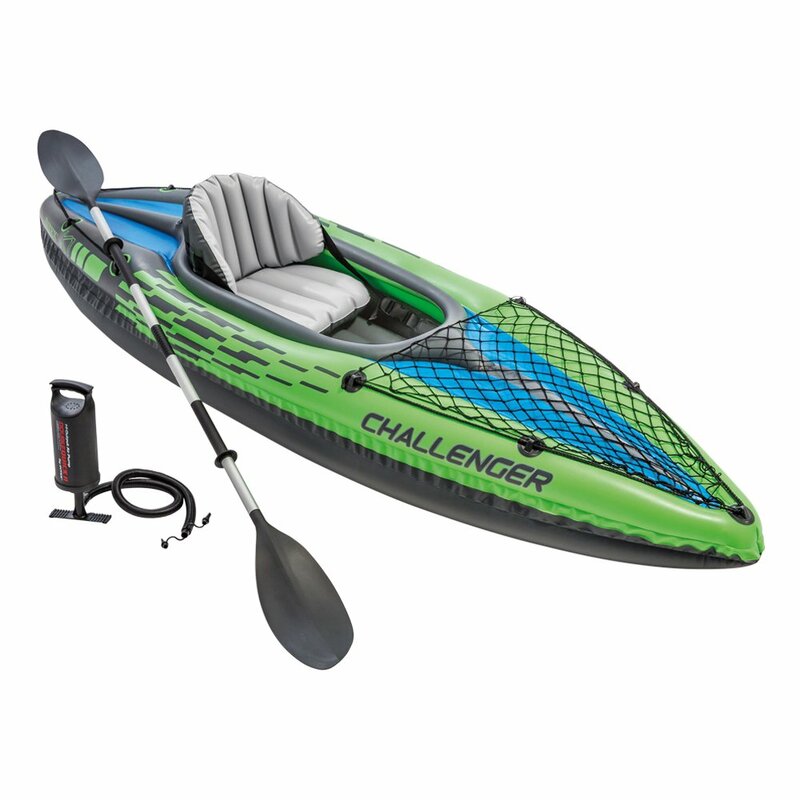 Additionally, the paddle is included for this kayak, which is a great bonus if you’re hoping to save even more money. It has a lot of legroom. The hull design is one of the kayak’s best features and goes to show the kayak’s design was well thought out. The innovative hull design helps to improve the kayak’s tracking ability while also improving overall stability. Thanks to the chine rails, smaller anglers can stand up in the kayak when casting. The Top Mount FIshing Rod Holder can get in the way of paddling. Seats can be uncomfortable after a short amount of time. Constructed of uv-protected high-density Polyethylene. Multiple footrest positions for different size riders. Stable flat bottom. Adjustable padded seat back and seat pad for comfort. Two flush mounted fishing rod holders. One top mount fishing rod Holder. Front and rear shock cord straps. Two 6" storage compartments in rear and center. One paddlekeeper, one adult black paddle. Front and rear t-handles for easy transport. Deep hull tracking channels. Stability chine rails. Durable high-density Polyethylene (HDPE) construction.